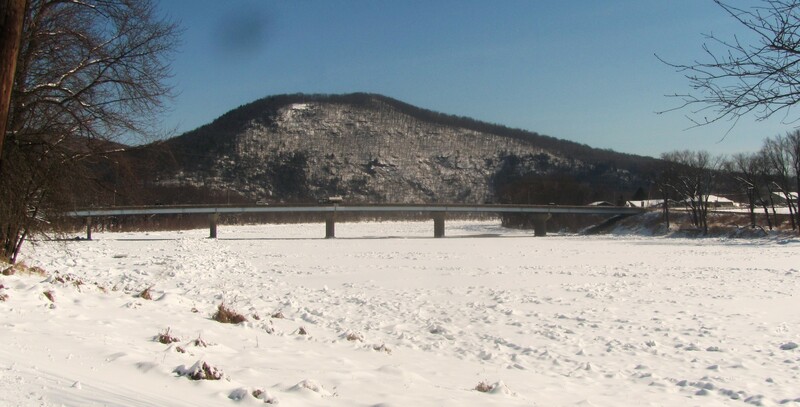 It has been years since the landscape around Susquehanna River bridge at Tunkhannock has appeared this wintry. The river looks to be frozen solid but is in fact simply jammed with ice that flowed to this point during last week’s brief thaw and got stuck. Heavy snow then blanketed the temporarily suspended ice flow. From the bridge, numerous openings in the ice can be seen. Only a fool would venture out onto this treacherous shelf. With temperatures to remain below freezing for at least another week and more snow in the offing, there’s plenty of time for you to add a shot like this to your own photo memories of the harsh winter of 2013-14.